In this video we will discuss, how to check if cookies are enabled. Most websites rely on browser cookies being enabled. For example, if you have disabled cookies and if you try to log into gmail.com, you will receive an error message saying - Oops! Your browser seems to have cookies disabled. Make sure cookies are enabled or try opening a new browser window. 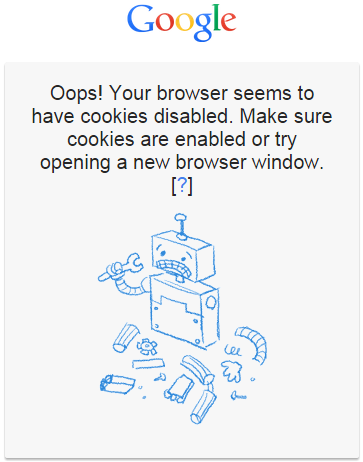 This property returns true if cookies are enabled and false if cookies are disabled. Some old browsers don't support this property. For those browsers that don't support navigator.cookieEnabled property, we are setting "mytestcookie" and then reading again to make sure cookies are enabled. If we are not able to read "mytestcookie" then we know that cookies are disabled.